Be safe, be seen: use dipped lights even before darkness has fallen. In fading light and darkness, pay particular attention to other vulnerable road users such as cyclists, and pedestrians, especially in areas without street lighting or proper footpaths. Slow down if the dazzle from the headlights of oncoming traffic is distracting you – and remember to dip your full headlights for oncoming traffic. Keep your windscreen clean as streaked windows can make it impossible to see in the dark. In darkness always drive at a speed at which you can stop within the distance revealed ahead from your lights (normally 30 metres for dipped lights and 100 metres for full headlights). 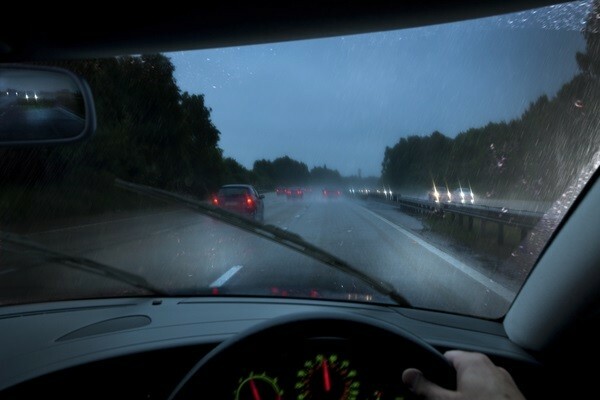 Driving at night exposes cars with faulty lights which can lead to penalty points so make sure all the lights on your car are in working order including indicators and brake lights. It’s more difficult to judge a safe gap in the dark so never overtake unless you are absolutely certain it is safe to do so.